When the term “two-tone” is used in a discussion about watches, it generally refers to the combination of gold and silver coloring. Instances of two-tone watch designs appear throughout the latter half of the 20th century, but the look peaked in popularity during the 1980s. In the decades that followed, production of two-tone watches was relatively limited; that is until recently, when two-tone design began trending once again and is now in the midst of an impressive renaissance. The current crop of two-tone watches has a different feel than those from the past. Watch brands are not content to deliver the same old mix, and more attention is being paid to integrating the colors in new and creative ways, with clever two-tone dials that deliver cohesive, unified looks. 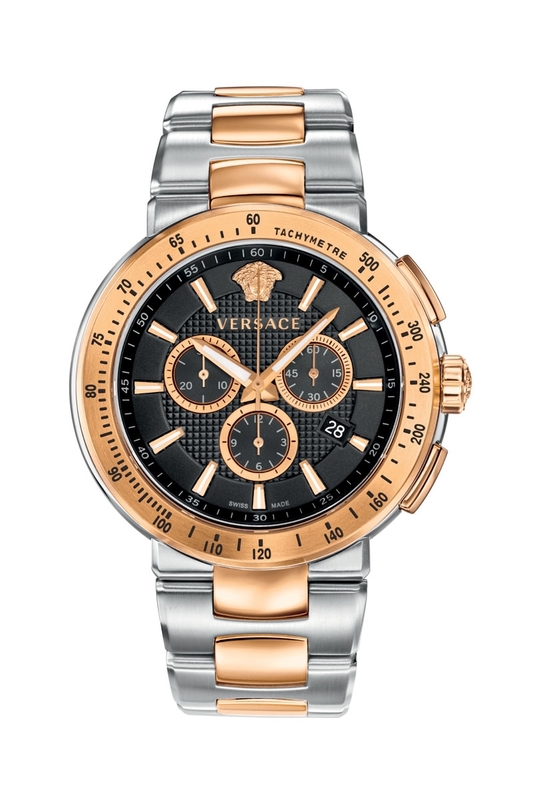 Versace’s Mystique Sport VFG10 0014 features a stainless steel case and gold IP coated bezel with a tachymeter scale. 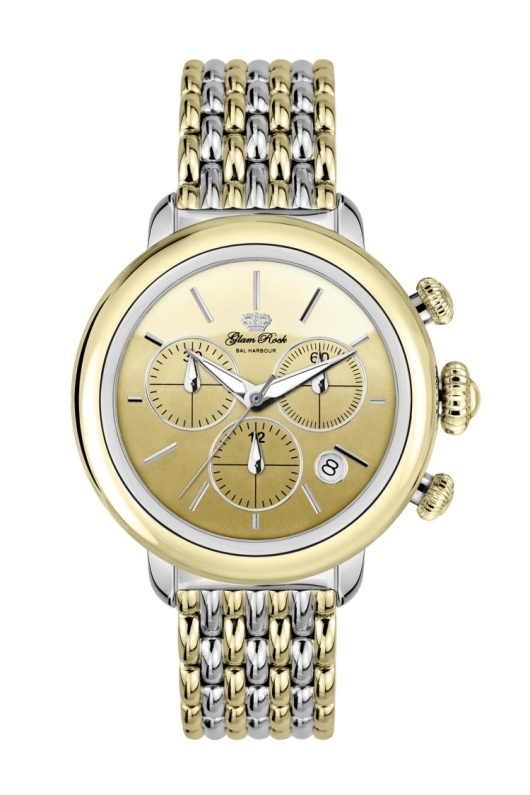 The crown and chronograph pushers are also gold IP and the bracelet has integrated two-tone links. On the detailed black dial, gold IP elements atop a clous de Paris background unite the overall design. 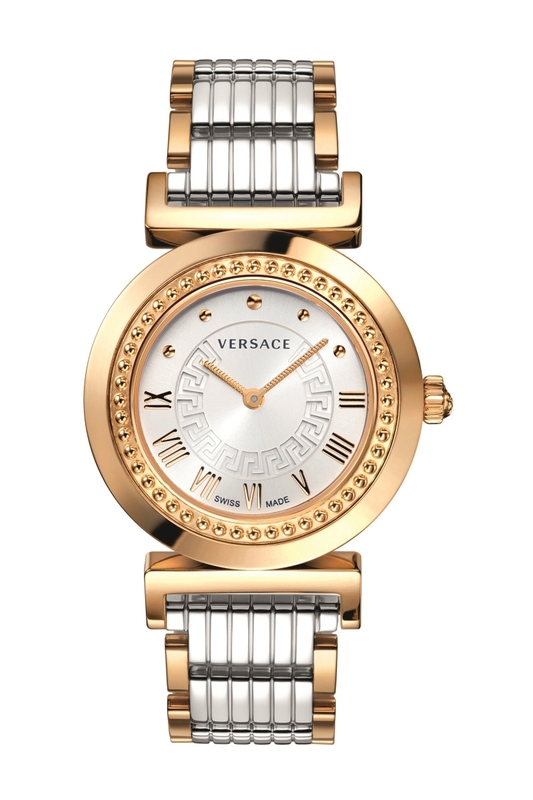 Versace has two-tone models for women, too. The entire stainless steel case of the Versace Vanity model P5Q80D499 S089 is coated with rose gold IP, as are the lugs and the trim of the bracelet. The rose gold IP outer links on the bracelet provide a smart-looking border. A silver sunray dial with a Greek key pattern along with rose gold IP Roman numerals and hour markers complete the look. Various materials can be combined to achieve a two-tone look. Sometimes it consists of solid gold paired with stainless steel; but more often than not, gold-plated steel or gold-coated steel represent the “gold” elements. Solid silver or white gold is occasionally used in place of steel, but instances of two-tone watches using these materials are rarer. For the most part, stainless steel is used to build the “silver” elements. Plating, coatings and stainless steel offer a great cost benefit to the consumer compared to precious metals, which are increasingly expensive to procure. 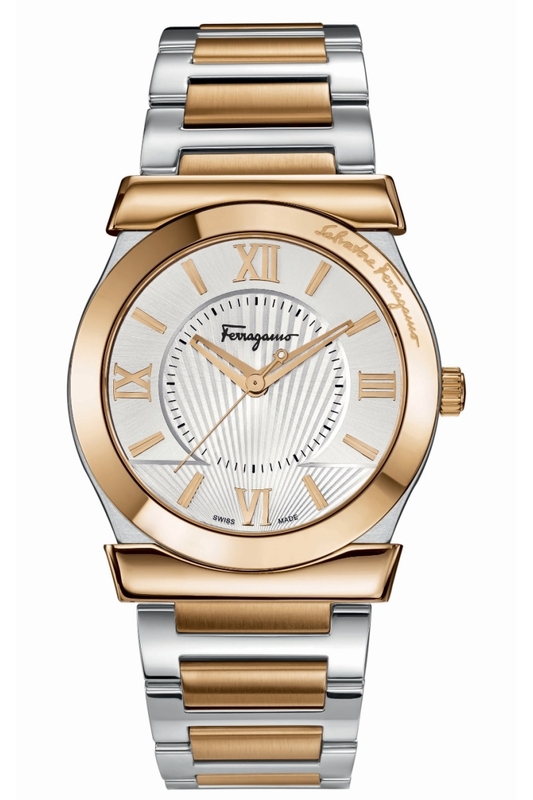 The Ferragamo Vega FI0010013 for men takes on the two-tone trend with an especially astute looking time-only watch. The case and bracelet are stainless steel; the gold elements are IP coated. 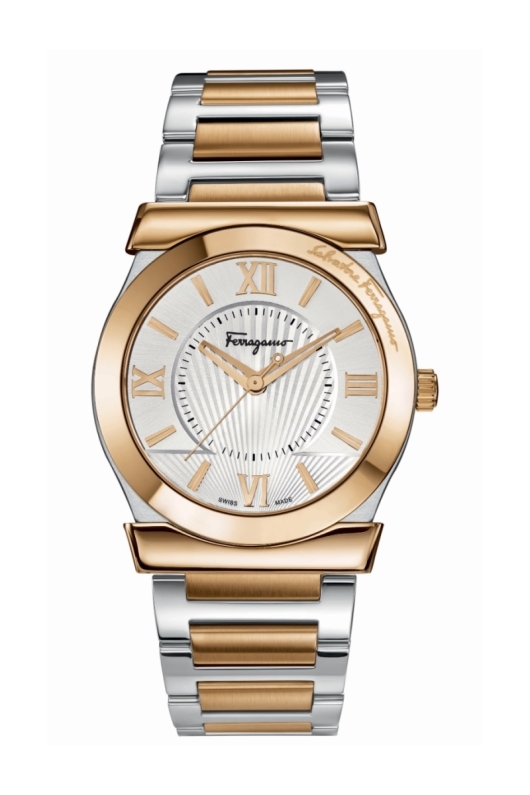 The watch’s silver sunray and guilloché dial with gold colored Roman numerals and hands makes for an elegant facade. 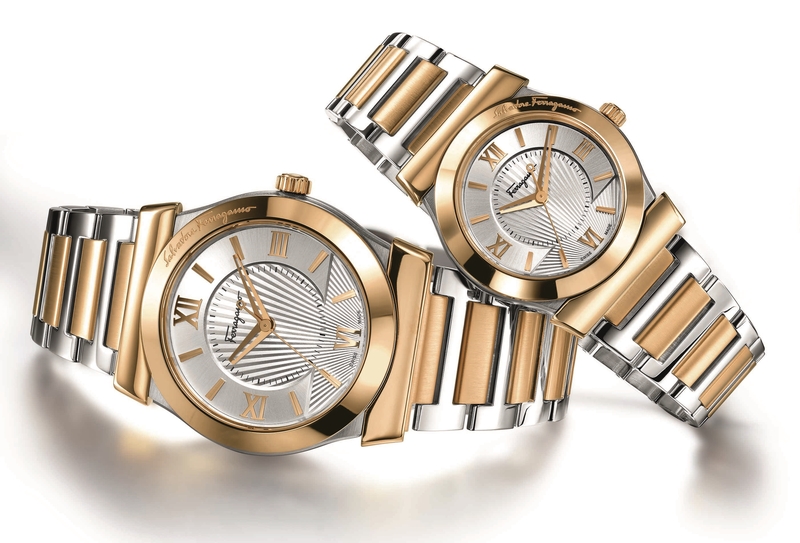 The “double-gancino” effect (created by the gold-colored ingots at the top and bottom of the case) provides a smooth introduction to the golden central links of the two-tone bracelet. 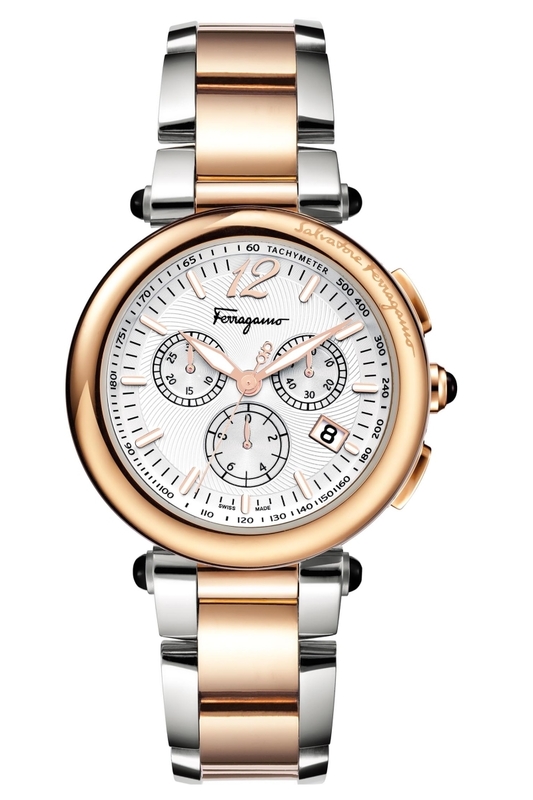 The Ferragamo Women’s Idillio Chronograph Collection has a stainless steel model F77LCQ9502 S095 with a polished gold IP case and two-tone bracelet. To enhance the polished finery of this watch, black onyx cabochons are positioned on the crown and lugs ends. The silver guilloché on the dial is another elegant touch. 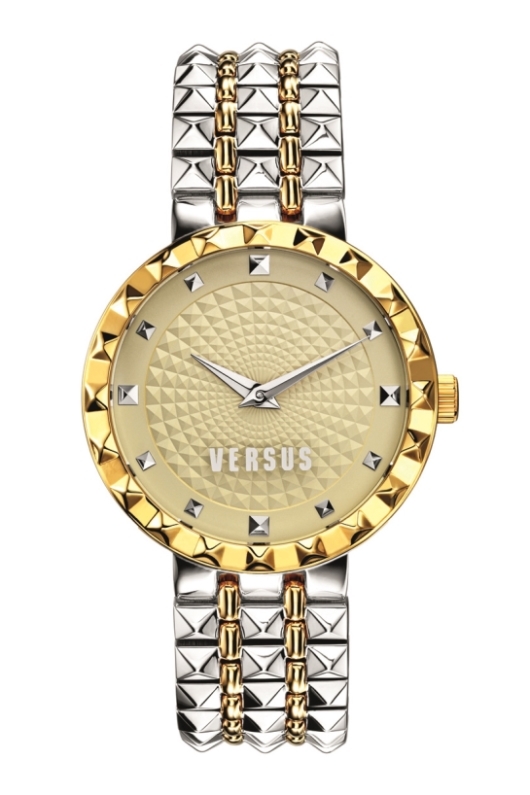 The classic two-tone model incorporates gold and silver coloring into the design of the case and bracelet. Numerous combinations are possible; the most typical include gold bezels atop silver cases and vice versa, and mixed links of gold and silver in the bracelet. Unifying the appearance of the case and bracelet is therefore significant in creating a winning two-tone design. The Versus Aventura model SOC060014 for men is another example of combining stainless steel and gold IP coating on both the case and bracelet. The waffle-patterned bezel is gold IP coated with steel hexagonal screws protruding. A golden hobnail pattern appears as a stripe through the middle of the case, creating a compelling connection (embossed versus recessed) between case and bracelet. All of the steel parts are brushed and the dial is silver, which establishes an unaffected, wearable appearance. 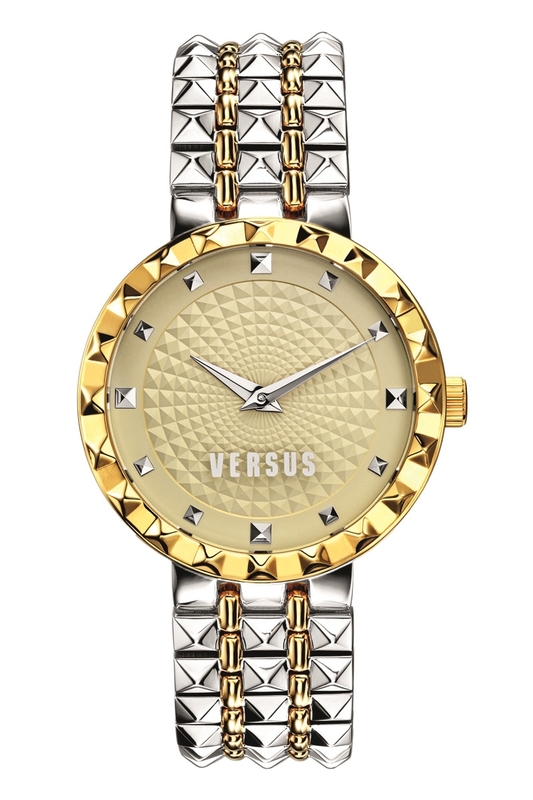 A more jewelry inspired piece is the Versus Coral Gables SOD050014 for women. Large hobnail pyramid patterns – on the dial, bezel and bracelet – unify the look of the watch in addition to adding a great deal of sparkle. The two-tone coloring is provided by a combination of stainless steel and yellow gold IP, and the dial is a rich shade of champagne. Dial color is less of a consideration when establishing whether or not a watch is two-tone, but typically a two-tone dial (of silver and gold) is paired with a two-tone bracelet to harmonize the overall design. Colors that are also well suited to the two-tone aesthetic include silver, white, champagne, gold and black, all of which are complementary. 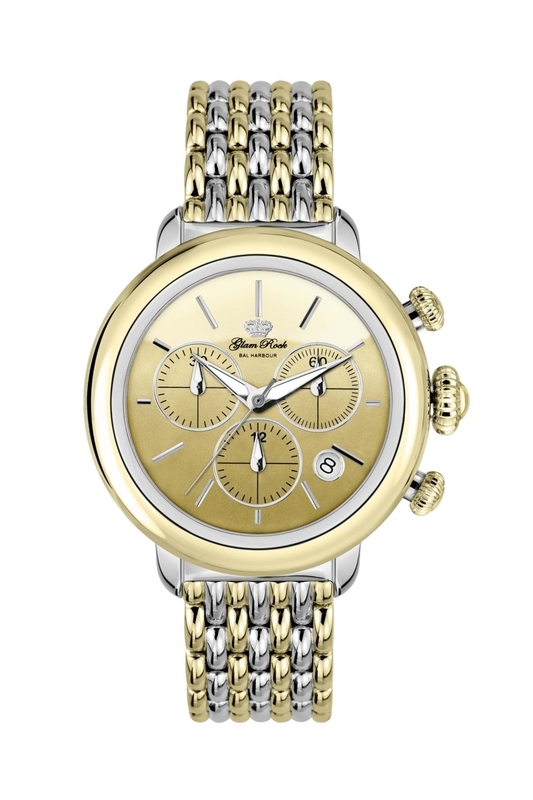 The Glam Rock chronograph model GR77117N from the Bal Harbour collection features a deep yellow gold coloring on the dial – a strong foundation for the two-tone design of the case and bracelet. A thin steel flange around the dial is framed by a yellow gold IP case cover (other case covers can be switched in). Steel lugs secure the two-tone (steel and gold IP) beaded bracelet. 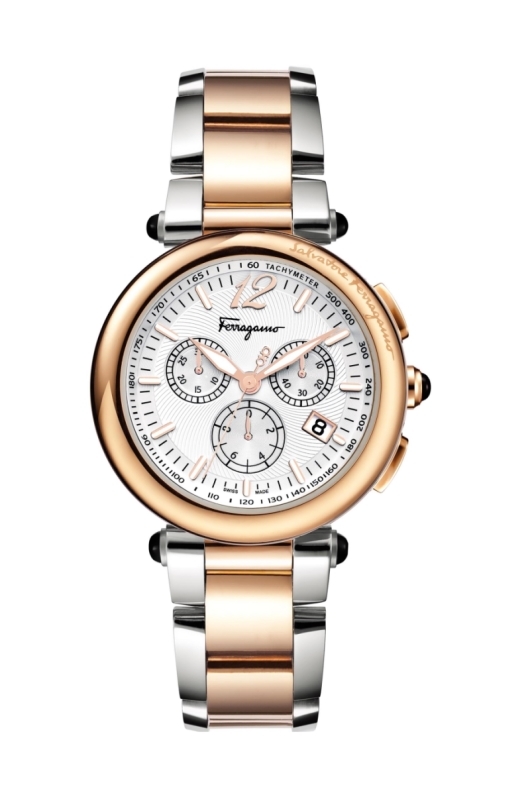 Every aspect of the case and bracelet are highly polished, including the crown and chronograph pusher caps. 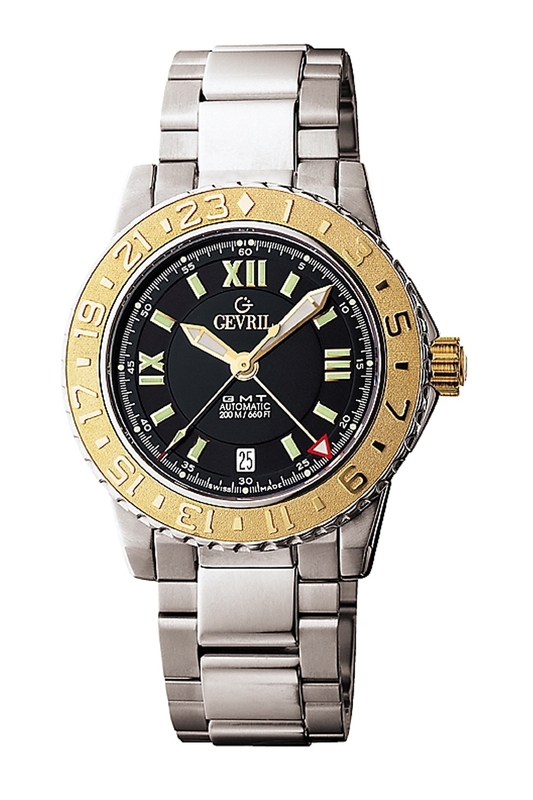 The Gevril limited edition Sea Cloud model 3106 uses the two-tone concept in a succinct and convincing manner. Rather than adding a two-tone bracelet to the mix, the usage of gold is restrained to the bezel; and rather than using IP, this gold bezel is made from 18K gold. 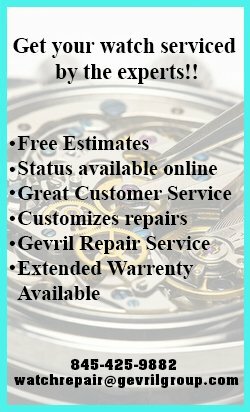 It features a 24-hour track of raised numerals for use with the GMT function. The black dial accentuates the gold bezel, as does the uniformity of the integrated steel bracelet. 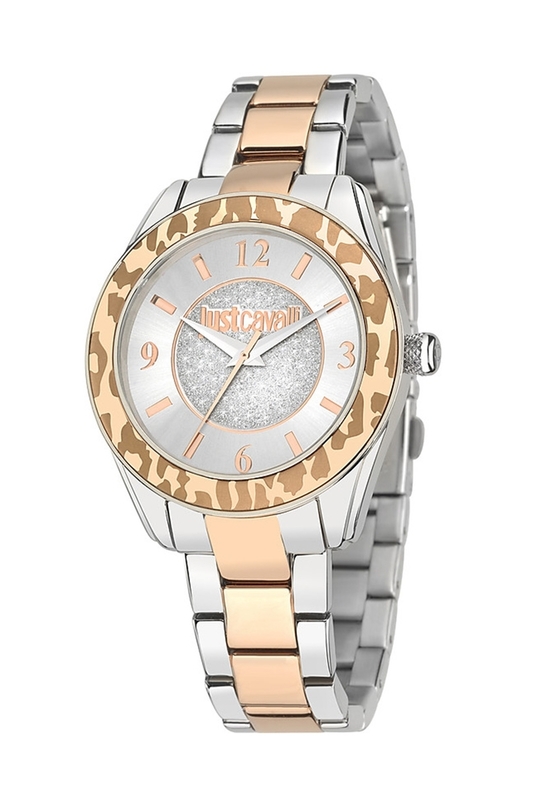 Exemplary Roberto Cavalli flair is on display with the Just Cavalli Style collection and its two-tone model. 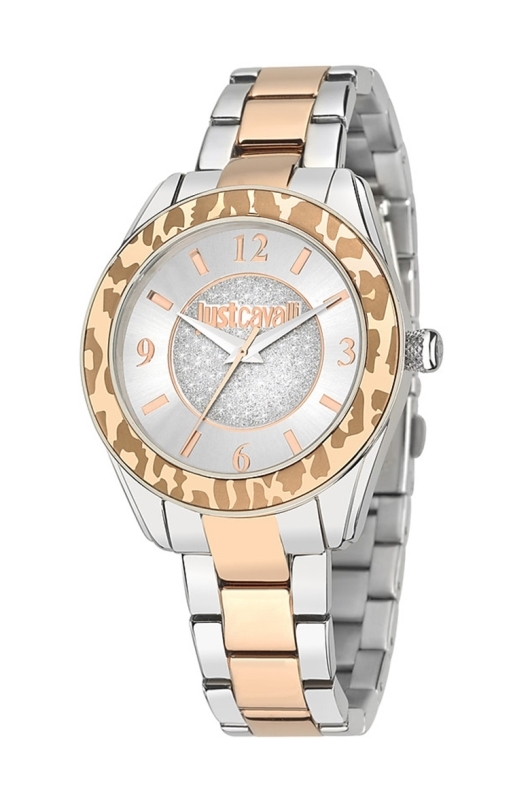 The watch’s patterned bezel is paired with a polished two-tone stainless steel and IP rose gold bracelet. Rose gold coloring also appears on the dial, which features a silver sunray pattern with a diamond dust design at its center. Two-tone designs often elicit strong responses from watch enthusiasts: people either love them or loathe them. But lately it seems that more and more are inclined to love them, and brands are eager to include two-tone variations in their collections. 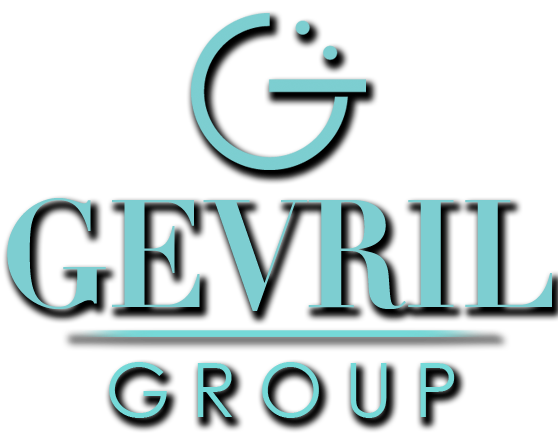 Those who love two-tone design tend to believe it has an enduring quality that never goes out of style. 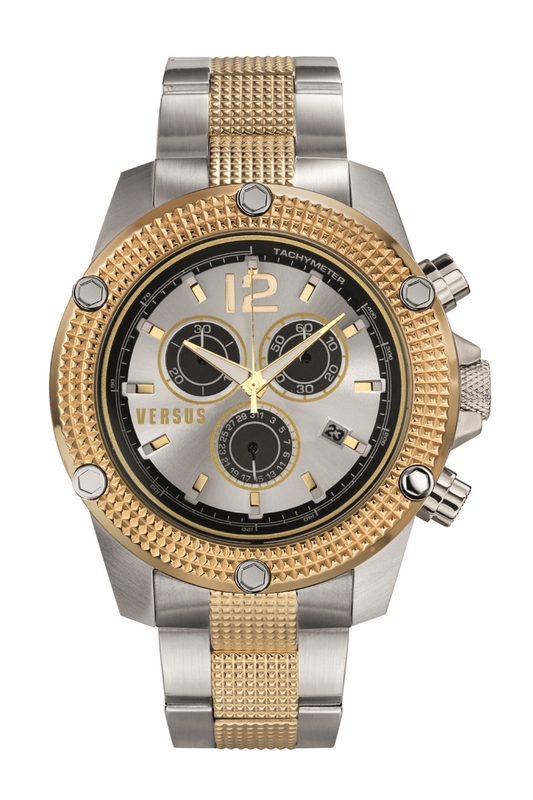 If you are one of these people, it’s time to explore the latest crop of two-tone watches from the world’s most prestigious fashion brands; if you are still on the fence, take a trip to your local authorized dealer and try one on – the versatile and stylish mix of steel and gold may surprise you.